There was very little snow left (none in this photo) on the hill/mountain tops in Glacier National Park by the time we were there. 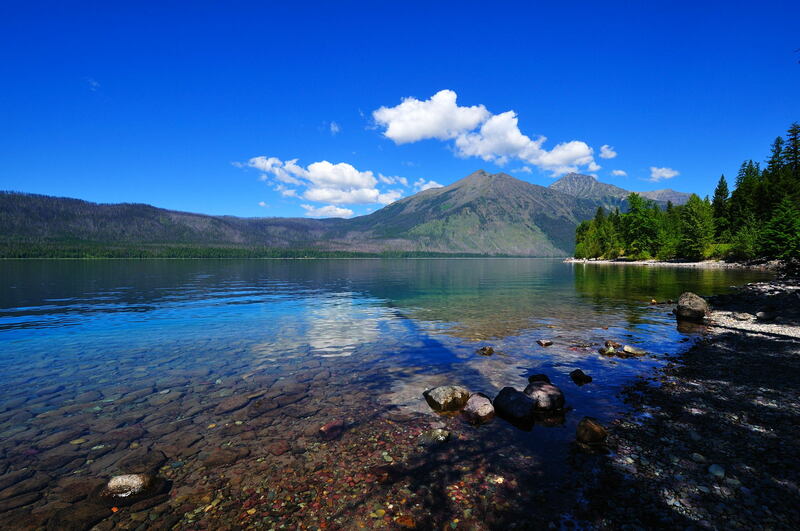 This is Lake McDonald in Glacier National Park. Shot with Nikon D90 with Nikon 10-24mm lens.